Start with fresh roasted Kobrick Coffee Co; here at the Kobrick Roasting Plant we roast and package to order. Fresh roasted coffee takes about 2 days to gas off, so by the time you receive your order, it’s the best time to brew your coffee. If you can buy or have a coffee grinder, always order whole bean coffees. As soon as coffee is ground it begins to lose its flavor profile. Make sure your grinder is set correctly depending on your brewing method. Depending on your grinder you may need to play around with the settings until you get it right. Use fresh, cold purified water. Make sure your brewing equipment is always thoroughly cleaned. 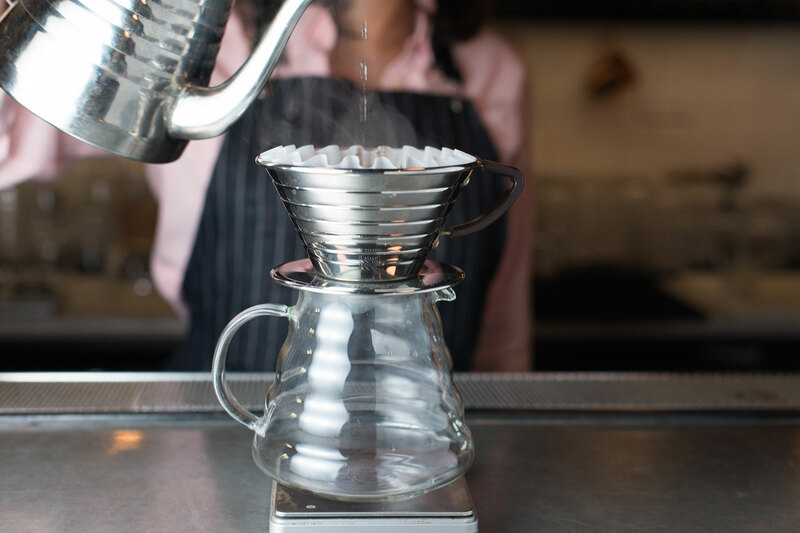 Serve or drink coffee immediately after brewing. 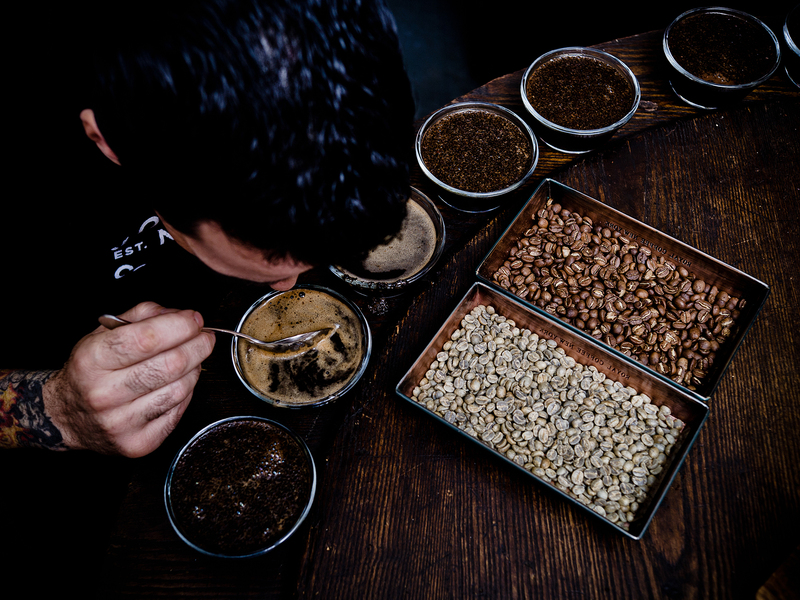 Cupping was developed as a standardized method for detecting defects in coffees. Before its introduction in 1905, buyers and sellers evaluated unroasted coffees primarily by visual appearance. Although experienced coffee buyers can tell a great deal from a green coffee's appearance, cupping offers far more information. 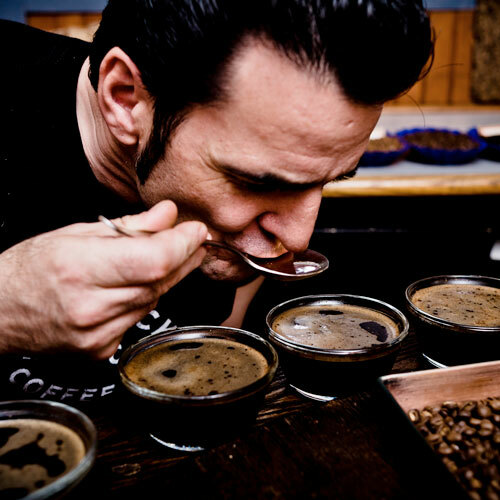 Cupping is coffee brewing at its simplest. 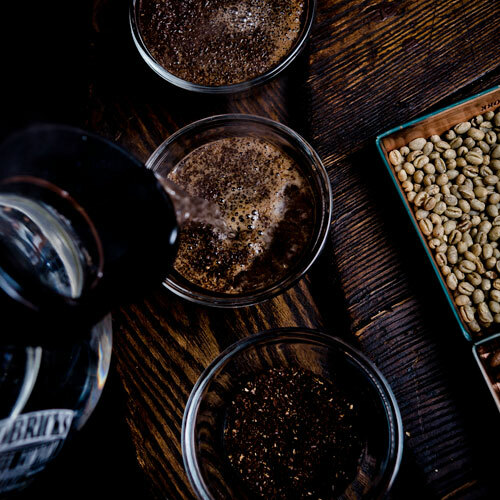 A weighed amount of beans (usually seven and one half grams) are ground for each cup to be prepared. Usually three to five cups of each sample are set up. Portioning out the specific beans that are to be ground into each cup allows the impact of those beans to be more clearly demarcated. 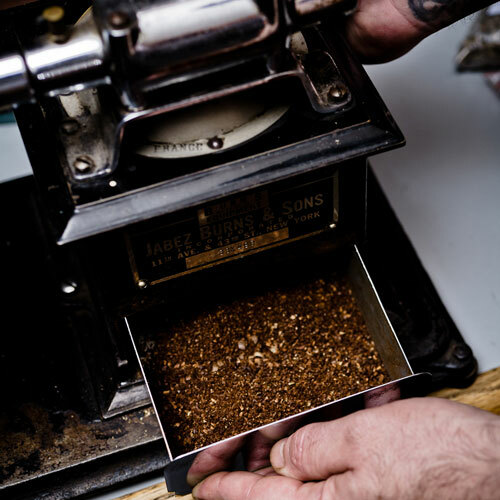 Separate weighing and grinding allows the variability of a coffee to stand out. Once the grounds are in the cup (typically a five and one half ounce shot glass), freshly boiled water is poured over them. After the water is poured into each cup a crust forms on top. This floating mass of grounds prevents each cup from steaming. Using a spoon, the taster dips the spoon in the cup, "breaking the crust," with their nose over the cup to identify as many aromatic characteristics as possible. The coffee's aromatics are their most intense at this stage. Significant defects, which might throw a coffee off, or ruin a week's production, can be spotted at this step, but perhaps missed everywhere else. Next, the coffee is allowed to cool while the grounds absorb water and sink to the bottom of the glass. Any remaining foam is gently skimmed off the surface and the coffee is then ready to taste. Tablespoons, soupspoons, or specially designed cupping spoons are used for tasting the coffee. The cooling liquid is slurped into the taster's mouth so that the liquid is atomized and sprayed evenly over the palate as the aromatics are released. The difference between this slurping method and gentle sipping the same coffee is easily experienced, yet many aspiring cuppers resist this noisy but necessary method. After slurping, the coffee is moved around in the mouth for a few seconds. If there are many coffees on the table, the professional will more often immediately spit the coffee out and move on to next cup. As the cupper is going through the cupping, he or she will carefully note -- the appearance of the green beans, the development of the roast, the aroma of the grounds and crust, the first impressions in the taste (the chemical components experienced after the coffee is slurped), the physical feel of the coffee, its thickness or thinness in the mouth (body) and its astringency or acidity. Roasting is a fine art, requiring a delicate hand, split-second timing and an ability to judge when the coffee bean is at its peak of flavor. 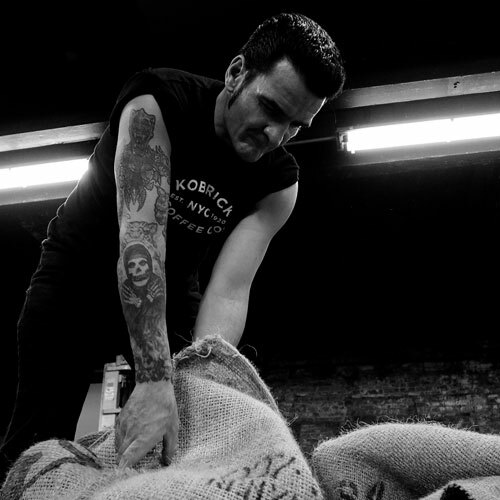 Unlike many other coffee companies, Kobricks hand-roasts all their coffees. First, the roaster drops the green beans into a drum filled with hot air, causing the temperature inside the drum to drop. Then the roaster heats the beans until the water in the beans begins to steam, making the beans swell and audibly pop. 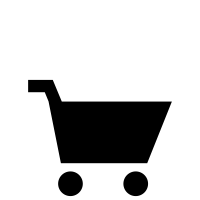 The heat causes complex polysaccharides to break down into starches and then sugars, which caramelize. Aromatic oils within the beans boil to the surface, giving them an oily appearance. The expansion of oils causes a second audible "crack". Along the way, the beans darken from their original green to a rich chestnut brown. The longer the beans are roasted, the darker they become. Kobricks roast all coffees by hand using a century-old method, adjusting and monitoring the temperature at every step of the roasting process. It can take up to 18 minutes to roast coffee the Kobrick way. 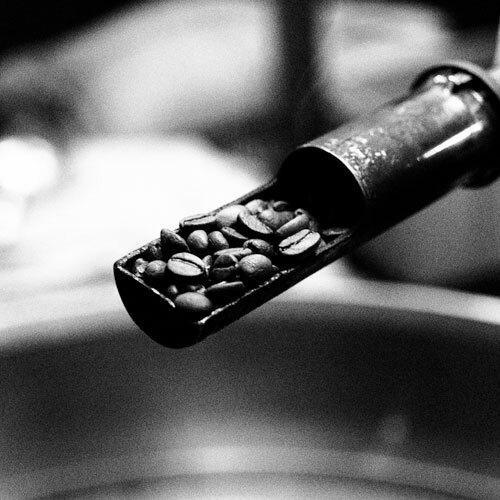 Our longer roast curve allows us to coax the flavor out of every bean. The result? An uncompromising smoothness and rich flavor that are unique to Kobrick Coffee. Roasts can be described as light (City), medium (Vienna), dark (French) and darkest (Italian). * Many single origins are better suited to a light or medium roast where the individual character and flavor nuances are more delicate. 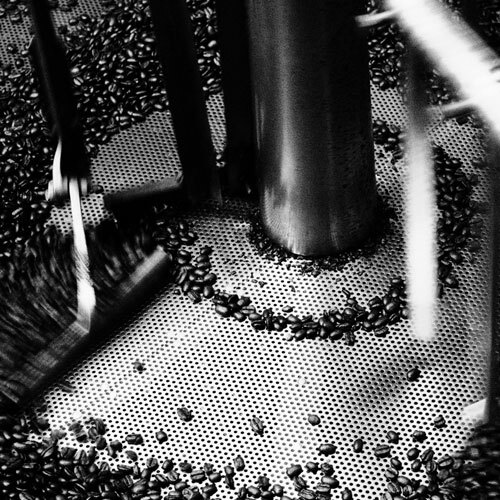 Kobricks uses two types of roasting equipment to create its different flavor profiles. 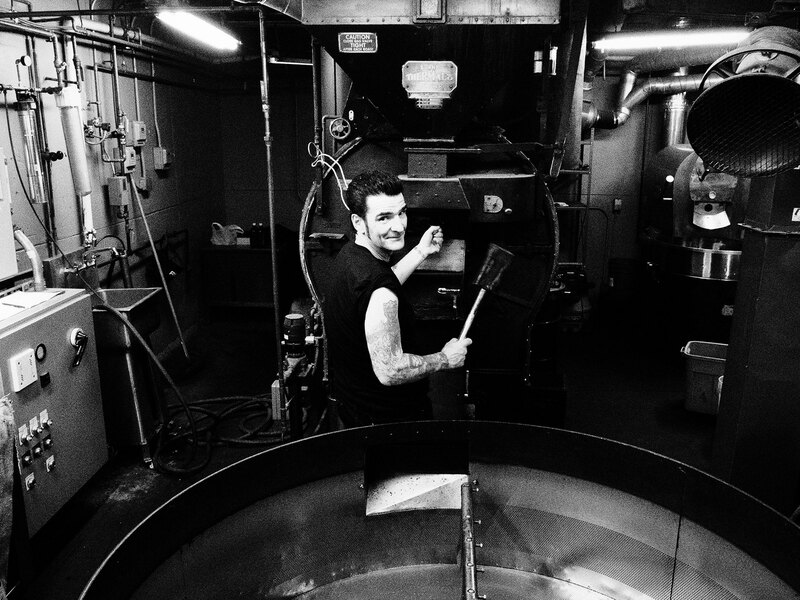 For many of its coffees, Kobricks uses a Jabez Burns American roaster (4 bagger, 600lbs. capacity), which evenly develop the beans and bring out the sweet, mellow flavor of the coffee. For its even smaller batches, Kobricks uses American made Diedrich roasters (24K, 5-50lbs. charge) to manually control the roasting curve and bring the coffee to the height of its flavor. Just as we use different roasters and roasting styles to achieve different flavor profiles, we have to approach coffee from each of the coffee-producing nations differently in order to fully bring out its character. Differing growing conditions cause each country's coffees to roast and taste differently. Even coffee from the same country can be different depending on bean variety, elevation, finca, crop year, individual lot and the length of time since harvest. This is also why we continually taste all of our coffees to ensure we are producing consistent, high-quality coffee that is among the best in the world. The point where the temperature stops falling and starts rising again. The beans have lost all of their green coloration and have taken on an intense yellow color. The beans make a popping sound similar to popcorn and double in size. This is the lightest usable roast level and is called the called the Cinnamon Roast because of the color. Most canned supermarket coffee is roasted to this level. This coffee can be used, but the only flavor that has developed is an intense, sour acidity. The beans begin popping again and the oils come to the surface of the bean. This is when most of the body, and desirable single origin characteristics are developed. After one or two additional minutes, the color and oil development have reached just the right point and the roaster discharges the coffee into the cooling tray. The cooling tray has a powerful fan that draws cold air through the coffee so that it cools evenly. *Note: Some West Coast roasters reverse the Italian and French roast appellations.